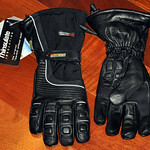 The UPS Fairy came to my office today and dropped off a pair of Gerbing’s Microwire T5 heated gloves. These were a belated Christmas present courtesy of my mom & pop. Isn’t it just like a mom to always want to make sure that you’re dressed warmly enough? 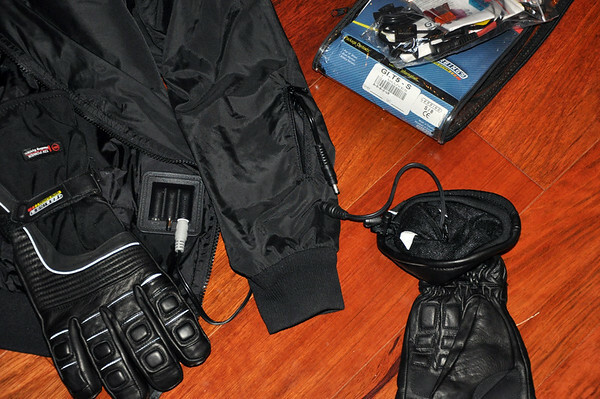 They don’t feel super bulky, which is what I hate about winter riding gloves. When my hands become desensitized by a glove it drives me nuts. The wrist can be tightened with a velcro strap, to help secure fit and keep out drafts. The gauntlet has a pull string for cinching closed over your jacket sleeve. The quality of the materials is very nice. With leather palms, fingers and knuckles the gloves appear to be well made. It is what you would expect from Gerbing. The connection with the Gerbing liner that I already have appears to be as easy as pie. The sleeve of the liner has a zipper-enclosed jack connector on the forearm that plugs into the glove. No crazy spaghetti wiring. Score! I’m looking forward to giving them a test ride this weekend. So far, Sunday is looking like it is going to be sunny and in the 30’s. Between the heated gloves and my handlebar muffs, I should have the toastiest digits in all the land! Do you have any experience with these gloves? Let’s hear about it! It looks like somebody is getting ready for the Midnight Run… the new heated golves is a dead give away. Cool! 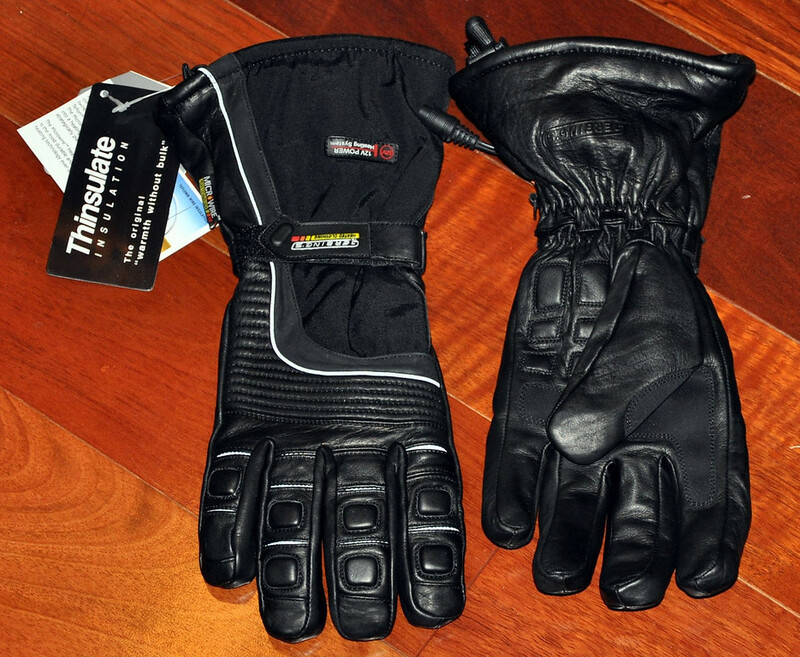 If you love riding a motorcycle and ready for the midnight run, then Gerbing’s T5 heated gloves are best for you. This is the best heated gloves to wear during your midnight run.